One of my favorite summer staples is coleslaw! I have spent years perfecting the *perfect* classic coleslaw recipe – and it is just amazing. But I have been working through thyroid issues over the years, and while goitrogens like cabbage don’t affect everyone, I do feel like I slow down a bit when I have raw goitrogens. I let myself splurge on classic coleslaw a couple times a summer and call it good. A couple years ago I was pouting about not being able to have coleslaw one weekend, so I tried re-creating the coleslaw using veggies I could handle raw. The garden was full of zucchini so that is what I rolled with! 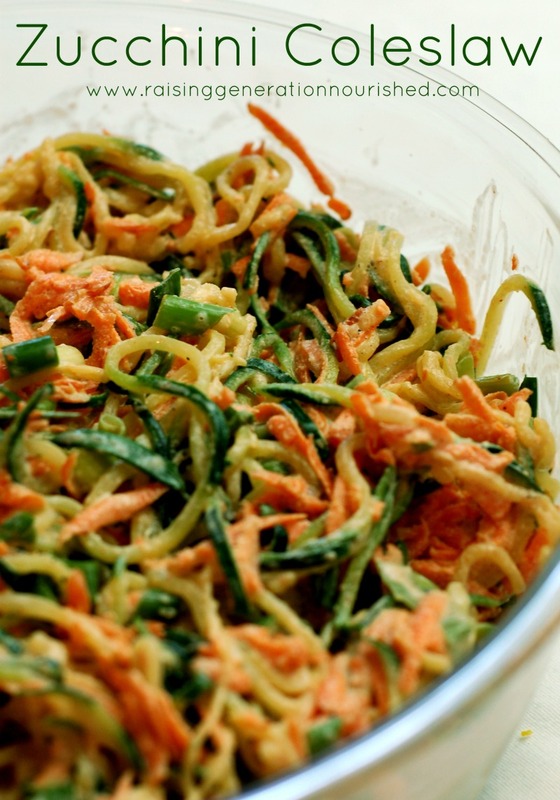 At the time I had a simple julienne peeler, and it made the perfect sized strips of zucchini to mimic a coleslaw. 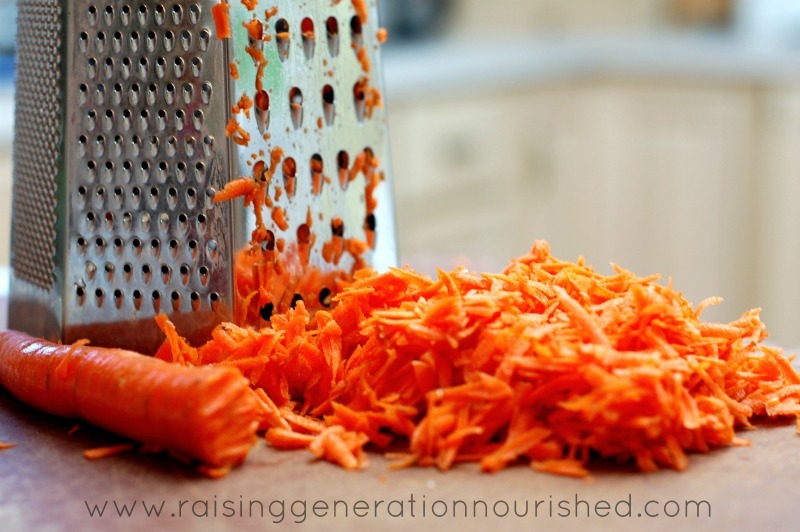 I love that little julienne peeler and used it for years (it is nice for making small strips of veggies for little ones!). This spring, however, I purchased a spirilizer, and I’m just in love! 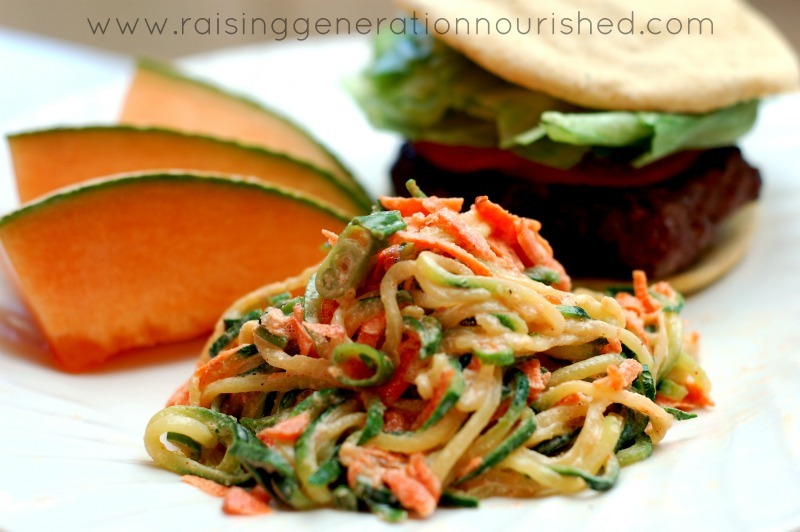 Either tool works great though, and you are going to really enjoy this zucchini coleslaw! 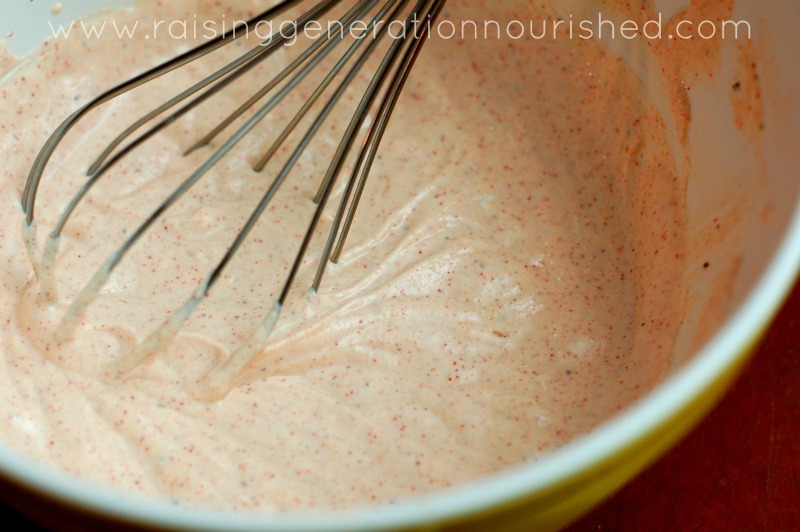 The dressing for my classic coleslaw can stand on its own – it is amazingly delicious! You can pour it over a simple salad, spread it on a wrap, or use as a veggie dip! Even if you aren’t avoiding goitrogens like a cabbage coleslaw, this one is a great idea to change things up a bit – and use up all that garden zucchini! Put the julienned zucchini and the sliced onion in a strainer with the sea salt and combine. Let this mixture drain for a few minutes while you put the dressing together. The salt draws out the water in the zucchini and onions – your coleslaw will be too runny if you don’t do this. This should also be enough salt to season the dish – you could add more at the end if you need it to taste. Whisk the sour cream, lemon juice, honey, and seasonings in a small mixing bowl to make the dressing. 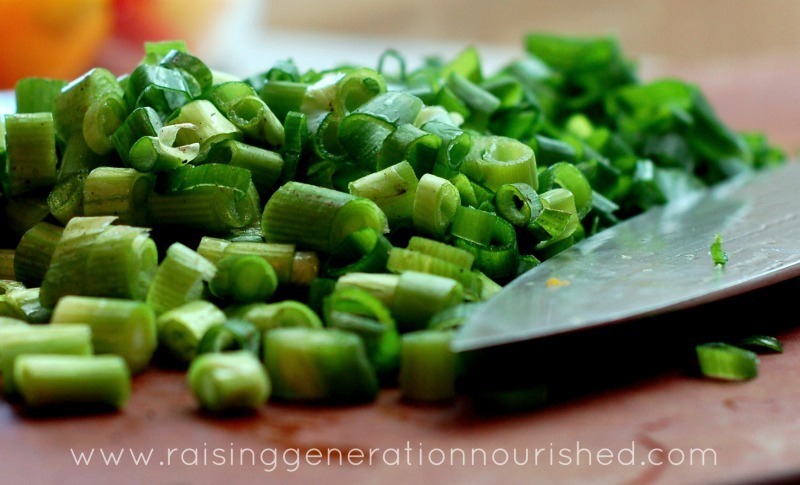 Use a paper towel to gently dab/squeeze out the water from the draining zucchini/onion mixture. Put the zucchini, onion, and carrots in a serving bowl, pour the dressing over top, and combine. Refrigerate leftovers up to a week. So tell me! 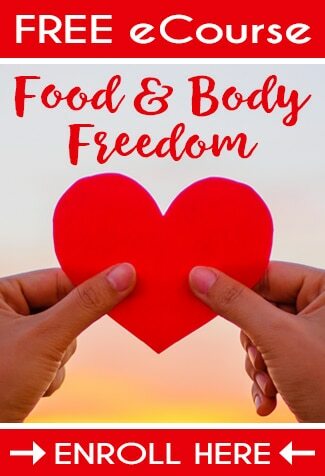 Have you ever altered a recipe to make it work with what makes you feel best? Come back to let me know how you like the coleslaw if you give it a shot! I am a coleslaw recipe collector, and this recipe is certainly a new twist to me. But Renee, it looks absolutely delicious and your photos are beautiful. 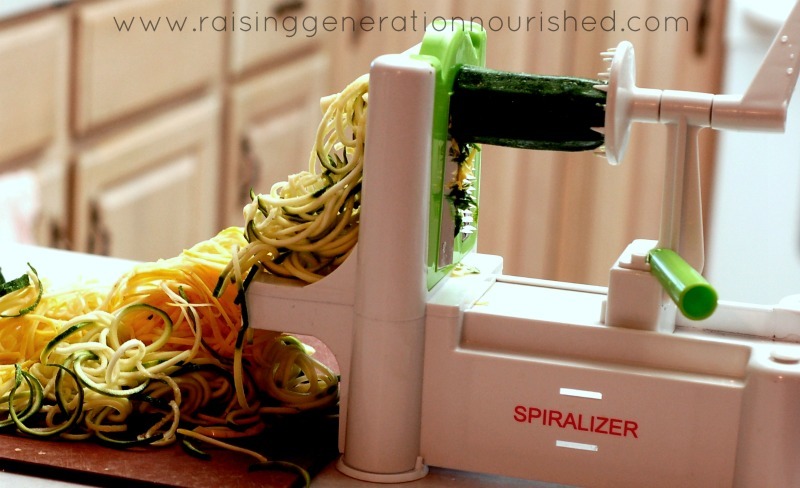 I love using my spiralizer for recipes so I Can’t wait to try it. Pinning it for later. So I tried this for guests tonight. It would have been good hadn’t I followed the recipe and put 2 tsp. go garlic powder. Could that have been a typo? My instinct told me it was too much but I decided to follow the recipe, ugg. Hi TM – I’m sorry the recipe didn’t turn out to suit your tastes! 🙁 That is not a typo. 2 tsp. of garlic powder isn’t that much for a recipe of this size, but that could be because we love lots of garlic! 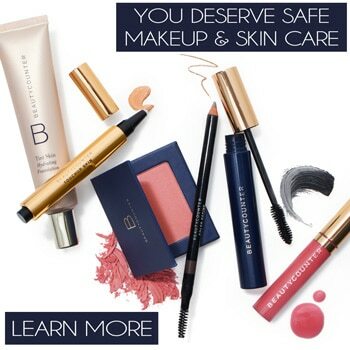 Feel free to adjust to suit your own personal preferences! Hello, is there yellow squash in this? It looks like it but it doesn’t say yellow squash, just zucchini.